The winery’s Pinot Noir grapes are grown on 180 acres near Elephant Butte, about 160 miles south, and then brought to the city for the winemaking process. While his stone castle-like winery may look a bit incongruous beside busy Interstate 25, the traditional pouring room makes an excellent starting point for a day of in-town wine tastings. What: Savor méthode champenoise sparkling wines and fruity Pinot Noir. When: 10-5 Mon-Fri, noon-5 Sat. How much: $5 tasting fee. Where: 8400 Pan American Fwy. N.E. (I-25); www.gruetwinery.com or 505/821-0055. Taste at Casa Rondeña Winery. What: Sip estate-grown Riesling, Gewürztraminer, and Cabernet Sauvignon at a shaded, Mediterranean-style tasting room. When: 10-6 Wed-Sat, noon-6 Sun. How much: $2 tasting fee. Where: 733 Chavez Rd. N.W. ; www.casarondena.com or 505/344-5911. What: Sit next to the winery’s pond and lion’s head fountain and enjoy a glass of Riesling along with a deliciously chunky chicken salad sandwich and chocolate mousse to go from Fremont’s Fine Foods. When: Fremont’s is open 9:30-5:30 Mon-Sat. How much: $. Where: Pick up your boxed lunch at 7901 Fourth St. N.W. ; 505/792-3463. 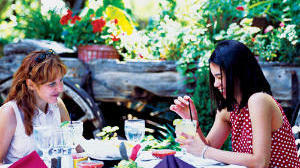 What: Devour red-chile ribs and fresh guacamole on the patio at El Pinto Restaurant. When: Lunch and dinner daily. How much: $$. Where: 10500 Fourth St. N.W. ; 505/898-1771. What: Work off those wine-tasting calories with a nature walk at the Rio Grande Nature Center State Park. When: Park open 8-5 daily, guided nature walks every Sun at 1, volunteer-led bird-watching walks Sat-Sun mornings. Where: 2901 Candelaria Rd. N.W. ; 505/344-7240. Albuquerque’s wineries are centered in the northern part of town. Contact New Mexico Wine Growers Association ( www.nmwine.com or 866/494-6366).